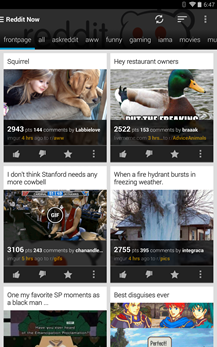 There are a lot of Reddit clients for Android, and surprisingly, a lot of really solid options. One of them is Reddit Now, and it's been getting steadily better ever since the initial release. Version 3 is probably the biggest update yet, with a significant improvement to the user interface. You can now move through the major subreddit categories, or your own bookmarked subreddits, by swiping through tabs a la the Play Store. 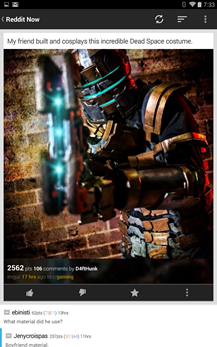 The home page also shifts into a "magazine" view if your screen size and resolution are high enough. Oh! And you can submit posts. Which is probably a big deal for a Reddit app. The way that Reddit Now handles comments has also been significantly improved, which is good, because the slow and cumbersome way it did so before was a major low point. In addition to generally faster and more reliable loading, the comments now get a touch of color in their highlights, allowing the reader to more easily differentiate replies. 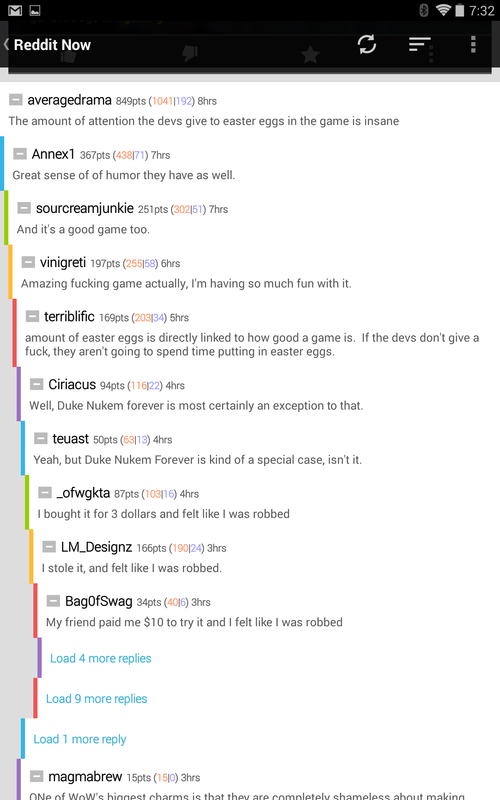 A few red and blue touches also allow you to see how popular or controversial each comment has become. 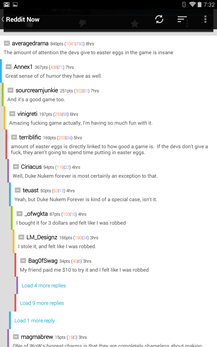 The comment editing window has a bit of contextual help, and more Reddit links should open in the app instead of punching out to the browser. 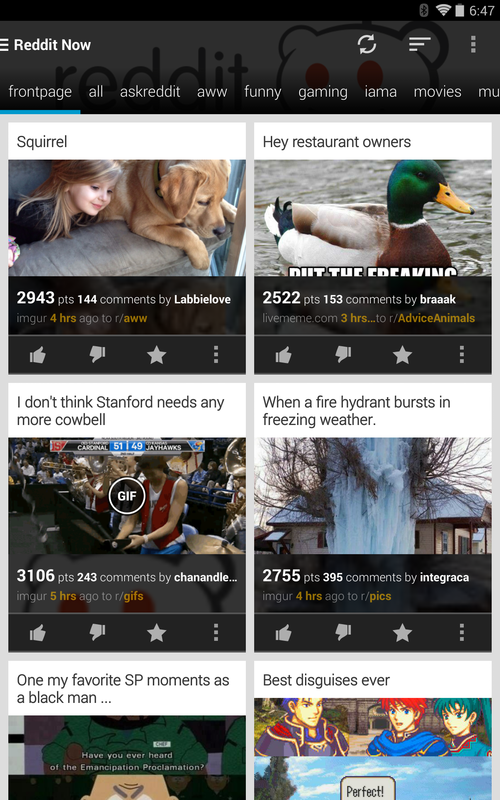 For those of you who buy (or have been given) Reddit Gold, you can now sync read posts between the desktop web version and Reddit Now on multiple Android phones and tablets. 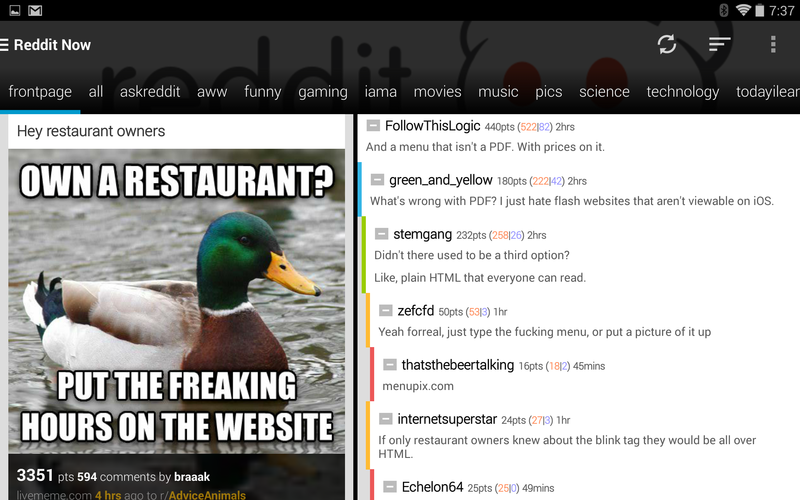 Best of all, Version 3 is less crash-prone than previous builds of Reddit Now. 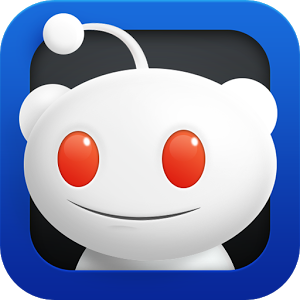 Oh: and it's got a new app icon, starring the little Reddit doodle dude. (I'm sure he's got a name, I just don't care what it is.) Go forth, Redditors, and look at more dog GIFs and cosplay than you know what to do with.